Costa Rica is a popular choice among ESL teachers in light of the high market demand for English instructors, the stable economic and political atmosphere, and the vibrant culture. The Costa Rican school year begins in February and goes through until December, at which time students enjoy The Costa Rican school year begins in February and goes through until December, at which time students enjoy a two-month holiday. They are given a two-week semester break in July. Peak hiring is generally between September and December. Teaching positions are available through public and private schools, language schools, universities and colleges, and through private tutoring. Language schools typically hire year-round. The Costa Rican government places a high priority on education and has poured its energy and resources into this sector of society in a significant way. As a result of this, and ongoing reforms, its literacy rate is 95% plus, second only to Cuba in Latin America. While literacy has been a main focus in the education system, resources for anything beyond this is lacking. 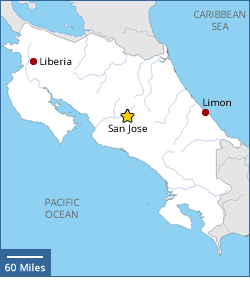 Public schools in Costa Rica are generally quite poor and lack necessities by North American standards. Books are in short supply and finding a computer in a classroom would be highly unusual. Private schools vary in quality. Some have a solid reputation and follow the International Baccalaureate (IB) program, while others follow the National Baccalaureate program. Private language schools provide supplementary education for students who require additional tutoring. Classes are offered during after-school hours and at other convenient times. As private language schools do not follow the semester system of conventional schools, teachers are hired year round. Most positions are available in the Central Valley region. 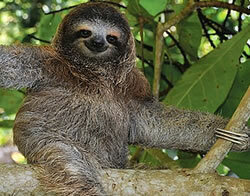 Teaching Business English is in demand in Costa Rica as in other parts of Latin America. As in most other Latin American countries, applying in person is a definite advantage. Many Costa Rican newspapers, some of which can be viewed online, have classified ads for English teaching positions. Public universities in Costa Rica conduct their classes in Spanish, while some smaller, private universities offer classes in English. Tuition for public universities is quite low and scholarships are available, albeit competitive. Tuition for private universities, compared to their public counterparts, is quite high. ESL teachers who choose to do private tutoring can expect to earn approximately 8,000 - 17,500 CRC per session, which is higher than most school teaching positions. Provided that it is not a breach of contract, gaining contacts through one's primary place of employment, for example, a school or company that hires in-house English language instructors, is a great way to build a tutoring clientele. Graduates of Oxford Seminars receive our Job Placement Service with exclusive access to established schools and recruiters around the world. With more than 470 centers in over 70 countries, Berlitz is a well-established English language training company. Berlitz offers one-on-one tutoring as well as small and large group instruction. English First has language learning centers in 50 countries around the world and is located in the nation's capital. ESL teachers who are interested in teaching during the summer in Costa Rica will find that the North American summer does not coincide with the summer months in Costa Rica, February through December. As such, seeking a teaching position during North American summer would be to arrive in the middle of the school year in Costa Rica, for which there are short-term teaching opportunities. The most likely way to find teaching positions during these months would be to contact volunteer agencies and refer to job boards for applicable positions. Private tutoring is also an option during the summer months. There is an abundance of ESL resources for teachers to help teach English as a Second Language on the Internet. Examples are listed below. - Learn some basic Spanish phrases before you go to Costa Rica and plan to continue learning it once there. - Ensure you always carry identification. A photocopy of the relevant pages of one's passport is sufficient. - In light of the laid-back, time-flexible way of life in Costa Rica, one should be prepared for slow line ups in stores, supermarkets, etc. Having a pocket phrase-book handy to study the language while waiting may help to alleviate the anxiety caused by waiting. - Bargaining in the markets is not a usual practice. - Putting one's thumb between the middle and index finger when making a fist is considered obscene. 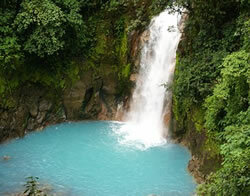 - Adopt an adventurous attitude and experience the cuisine, culture, and sites of Costa Rica. - Consider getting an international driver's license in your home country. - Petty thieves are always on the lookout to take advantage of foreigners. Teachers should take care to watch their wallets and cell phones. - While most water is potable, it is still prudent to purchase bottled water or boil water before consumption. - Ensure fruits and vegetables are washed well before consumption. - Many brand-name toiletries and medicines can be found in Costa Rica; however, if you are not open to trying new brands, you may want to consider taking a supply of your favorite cosmetics and essential items. - Sit-down restaurants generally add an automatic 10% to the bill. A 250 CRC per bag tip is standard for baggage handlers. As well, a 250 CRC tip is appreciated by parking attendants or maids. Tipping taxi drivers is not common practice. - If ever in a traffic accident, those involved must wait for the police and insurance agent to come to the site. Violation of this could result in loss of insurance coverage. - Voltage in Costa Rica is 100V/ 60Hz with standard 2-prong (3-prong if ground required) plugs, the same as those used in North America. The requirements and guidelines below are listed for ESL teacher applicants to Costa Rica who are citizens of: United States, Canada, UK, Ireland, Australia, New Zealand or South Africa. - For Those Entering as Tourists: A Tourist Visa is not required for citizens of United States, Canada, UK, Ireland, Australia, New Zealand or South Africa. Citizens from these countries can enter (upon approval of Immigration Officer) for a maximum stay of up to 90 days. While illegal, many teachers choose to work in Costa Rica without a visa, leaving the country every three months in order to gain entry for an additional 90 - day period. - Temporary Residence Permit (TRP): Designed for those, including ESL teachers, who wish to work in Costa Rica. This permit takes approximately 90-180 days to process. Once this temporary permit is obtained, a work visa is required. This takes an additional 30 - 60 days. While this is a lengthy and difficult process, it is required for obtaining a legal work permit. - Spousal Visa: Designed for those married to a Costa Rican citizen and living in Costa Rica. This visa can be used to teach English, providing the necessary requirements are met. - As work visas are difficult to obtain, some schools are willing to hire teachers who enter without a visa. While this is very common, deportation is a potential consequence. - Documents required for obtaining a work permit must be authenticated and legalized. Important to refer to Costa Rican embassy/consulate in one's home country to discover specific process for authentication/legalization of documents. 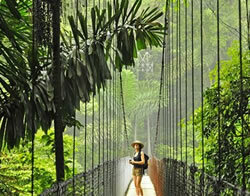 - Application for work visas must be made while in Costa Rica. - Visas will only be granted if there is sufficient time remaining on the applicant's passport. This should be confirmed by local embassy/consulate. - The teacher enters Costa Rica with all necessary documentation (see below). - The school assists the teacher in applying for a work permit. - The teacher applies for a Temporary Residence Permit (TRP). - Once the temporary permit is obtained, the teacher applies for a work permit. - A valid passport with at least six months remaining after travel dates. - Passport photos - as recent as six months. - Employment contract with letter of invitation. - Other documents at the discretion of Immigration.